Repetitive cutting is by far my least favorite part of the quilting process. Errors are irreversible and if you want to do it well, you have to really take your time and line everything up. It takes forever, and while I’m doing it I always wonder why I’m cutting fabric up just to sew it back together again. 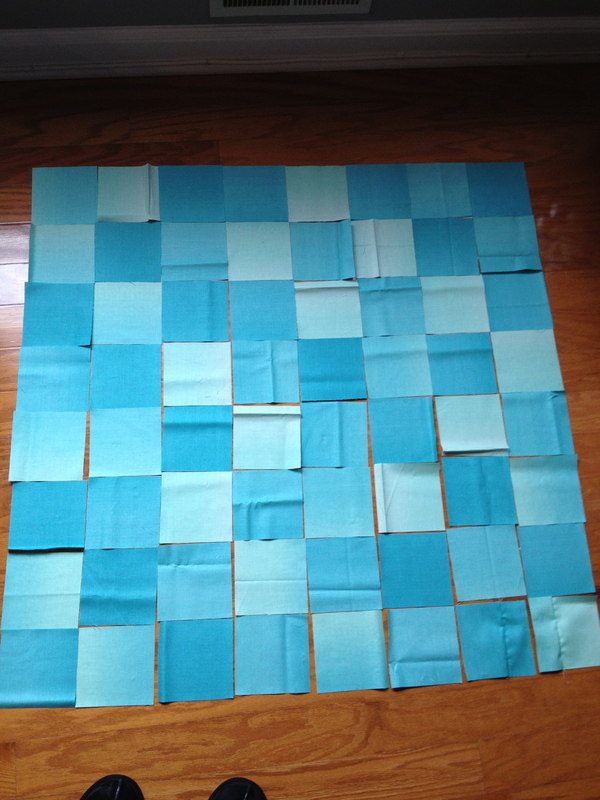 Cut 64 squares for the last ombre mini quilt. Cut all my fabric for my Block Party* quilt. It’s my quilt hero Elizabeth Hartman‘s pattern Kitchen Window from the Practical Guide to Patchwork. That’s 60 pieces from 12 fat quarters in addition to more than a yard of strips 1.5 inches wide. Plus some linen. But I’m done! For now, until inspiration comes again. *I can’t believe I haven’t mentioned Block Party before. 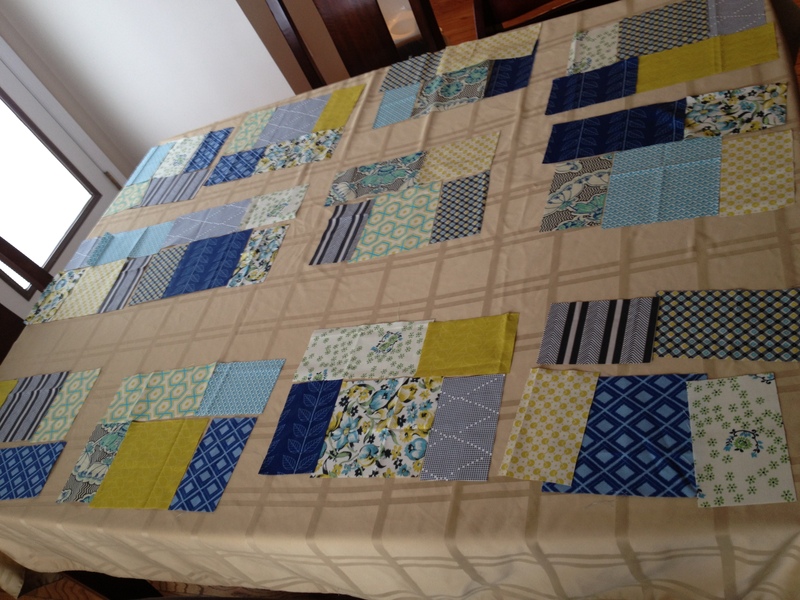 It’s a group of 12 quilters, and each month we make a block for a member’s quilt. It’s like having 11 helpers for piecing. Amazing. And I’ve been able to practice– I put my best efforts into the blocks that I make for someone else. I’m excited to make a quilt that actually gets to live at my house. I love your color choice for your block party quilt! Thanks! I’m loving blue and yellow right now. I think the blue and yellow was my favorite granny block of yours. HAHAHAHA! Lesson in insanity: cutting up perfectly good fabric just to sew it back together. It’s my zen. some people comb sand….I cut up fabric. Love. This. I’ll have to think of it as a zen exercise next time.